SNAFU! : Army converting two Stryker Brigade Combat Teams .... what does this tell us about future fights? Army converting two Stryker Brigade Combat Teams .... what does this tell us about future fights? These moves by the Army should spark a bit of debate inside the Marine Corps. What has the latest hotness been? Fighting in large urban areas. The city fight is suppose to be the future right? Well according to doctrine that is an infantry playground. Armor plays a part but they're supporting elements. So the idea that the Army would toss an infantry brigade and make them Stryker units is a head scratcher. Especially since I thought the 4th Armored Division had a Pacific mission set (could easily be wrong...going by memory and it's early morning here). 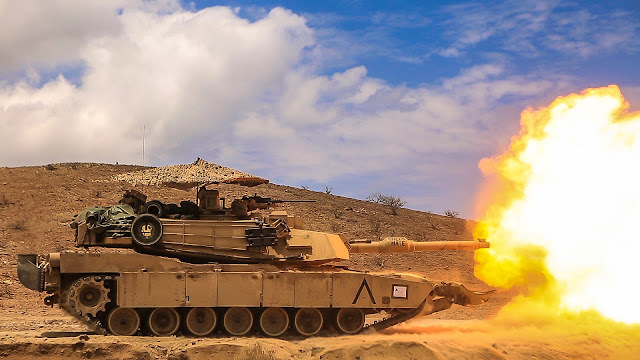 1st Armored grabbing back an Armored Brigade Combat Team makes nothing but sense. They've historically been the big sticks of the big Army. I get that but note that "rapid deployment" seems to be taking a backseat of getting there as fast as we can and then WINNING once we hit ground. It goes back to the makeup of future forces. The Army seems to be headed back to a "full mechanization" model. Regular Infantry seems to be a dying entity in their formations. Not positive but the Army will only have 3 pure infantry divisions left. The 82nd, 101st and 10th Mountain (not sure about these guys). Everyone else will be mechanized. Does the Army see a future where conventional infantry must be mechanized in order to survive unless its specialized, meaning either Airborne, Air Assault or Mountain troops? If so then how does Marine Corps infantry fit into the future? Should we consider it specialized? An amalgamation of Amphibious/Mech/Heliborne/Shock Troops (old term Shock Troops, haven't heard Marines described that way in years but it was once commonplace)? I would love to know the Army's thinking...in a professional setting...not to some reporter that doesn't know the questions to ask.